when the spiritually dead receive new life in christ, everything changes. including friendship. As Christians, we know friendship matters. Go to any Christian book store and you’ll find myriads of books on the importance of community. But while most people are convinced of their need for Christian friendships, they are often confused about the problems and disappointment they experience. What’s responsible for this confusion? For too many people, their friendships are very worldly. 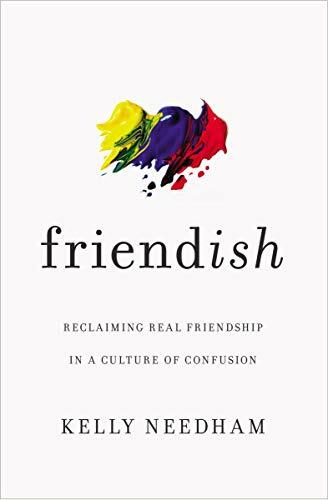 Following Jesus may have changed the activities of friendship, but the DNA of how and why they practice friendship remains untouched. These relationships may look good, but underneath, they’re merely friend-ish. But we need something better. Something more stable and secure. We need real friendship. want to stay up to date with Friend-ish? interested in being a part of the book launch team?